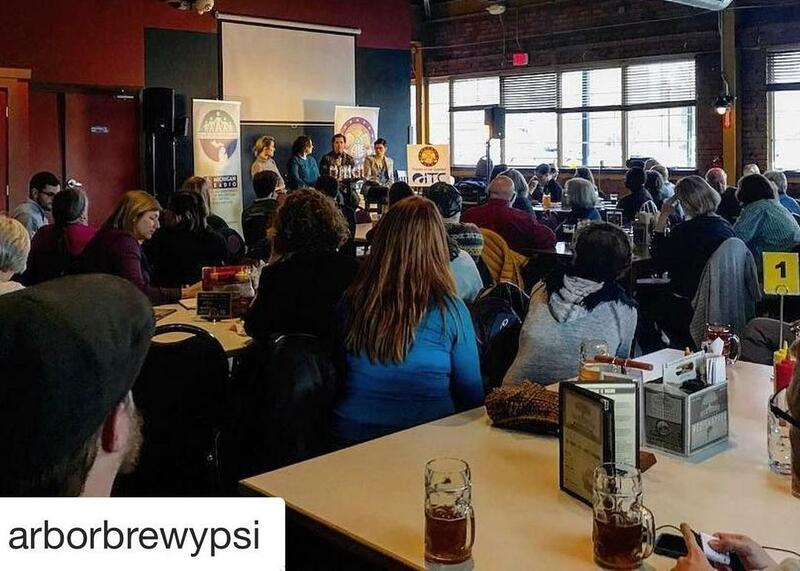 Last night's audience at ABC Microbrewery in Ypsilanti. Last night’s event recapped how things have changed for at-risk youth since State of Opportunity began. Michigan Radio’s senior editor Sarah Hulett hosted the event and panelists included State of Opportunity reporters Jennifer Guerra and Dustin Dwyer, and Sarah Alvarez, a past reporter for the project. Discussion revolved around State of Opportunity's major themes, including inequality between schools serving low-income and middle class communities, Michigan’s child welfare system and early childhood education. To hear the full Issues & Ale conversation, listen at the top of the post. Our next Issues & Ale event is titled "Protecting Our Drinking Water." Click here for more information.